Who uses case studies in their marketing and just how effective are they? 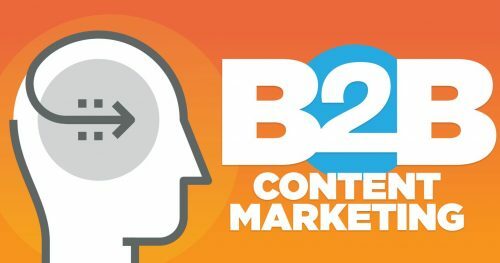 Every year, the Content Marketing Institute and MarketingProfs surveys hundreds of B2B marketing professionals about their content marketing practices. And each year I’m eager to see how case studies fare in the matchup against other forms of content. I’m pleased to report that case studies remain popular, and most importantly, among the most effective forms of content, according to marketing pros. Here are the top findings on case studies from B2B Content Marketing 2018: Benchmarks, Budgets, and Trends — North America. • 73 percent of those surveyed indicate that they use case studies as part of their marketing mix. Case studies came in second, just after social media posts. Furthermore, they beat out videos, ebooks/white papers, infographics, illustrations/photos, research reports, interactive tools, podcasts, live streaming, mobile apps and more. • Meanwhile, case studies also remain among the top three most effective forms of content, again coming in second, but this time behind ebooks/white papers. I can’t compare these stats to 2017 because, oddly, they left case studies off the survey that year! But in 2016, they also came in second in terms of tactics used and among the top three most effective forms. Check out the full report to learn more about how B2B companies today market with content.